As we’ve talked about in previous blogs, the trucking industry as a whole has seen impressive improvements recently, showing that it is among the strongest industries to come out of the recession. And now that the final tally of sales for the month of September has been made, it’s plain to see that this trend will likely continue into the future. According to an article from Transport Topics, 2014 has seen a 32 percent jump in orders for Class 8 trucks from last September, the highest sales for that month have been in eight years. Though the number of orders placed in September was good news for everyone in the trucking industry, it was not necessarily what was expected. September, along with July and August, is typically one of the lowest sales months for Class 8 and other truck types. The strong performance indicates not only fleet owners’ needs to expand their fleets, but also that the latest models and trucking accessories are highly sought-after. Daimler Trucks North America reported that its Freightliner order boards are full; going forward into the new year, it is expected that these kinds of successful sales will be experienced by many more of the top brands. Are you a fleet owner looking to expand your fleet or to take advantage of the newest models available to you? As the record shows, it’s never been a better time to take part in this exciting upward trend in the trucking industry! 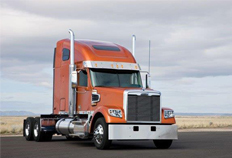 This entry was posted on Friday, October 31st, 2014	at 7:10 pm	and is filed under Blog, Trucking News	. You can follow any responses to this entry through the RSS 2.0	feed. Both comments and pings are currently closed.